Gold PC offers quick, reliable computer repairs, upgrades and battery replacement services to all computer owners in Perth, Australia. At Gold PC, we offer the best computer repair services in Bayswater, in Perth WA, and surrounding areas. Free yourself from all the woes of PC troubles and let the experts make your computer brand new again. Our experienced technicians will assess the problem instantly and offer you a quote you won’t be able to refuse. Our services of repairing your PC, also include battery replacement services, solid state disks upgrades, broken screen repairs, and performance improvement services. Your slow PC will work amazingly fast once again, and you’ll be able to make the most out of your computer for several months from now. Our 3-months warranty of any type of computer hardware fixing and seven days of all computer software fixing will give you the peace of mind needed that your computer is properly repaired. What do we mean by Computer Repairs? Computer repair is the process of troubleshooting, discovering and then resolving issues or problems with your computer. Faulty computers do not work like they were meant to. They run slow or don’t run at all. Moreover, they prevent you from running several programs at once and will more than often stuck in the middle of an important job. In 2019, We have enhanced our computer repair services by using the best and up to date tools of computer troubleshooting and diagnostics. Whether it’s software-based or hardware-based issues, it is important to get your computer fixed as soon as possible before it gets bigger and more costly to fix. This is where our experienced technicians come into play. They repair and maintain your computer by configuring new hardware, updating and installing new software, cleaning the disk or maintaining the computer network. If you are looking for a top-level team of computer repairs in Perth, you have landed on the right page. At Gold PC, we have the best and most dedicated computer technicians in Western Australia. For quick and reliable service, call us now at LL: 92719924 Mob: 0415332231 or send us an email at [email protected] You can also pay us a visit at our office, at 8A King William Street Bayswater 6053 WA. Your computer will definitely slow down in time. The slow hard drive comes as a consequence of using excessive programs, bad maintenance or viruses. At Gold PC, we will conduct a complete assessment of your computer and remove all the factors that contribute to slowing down your computer. 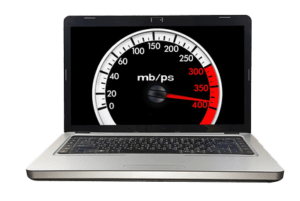 Your computer will get its speed and velocity back. We will make sure to focus on both the hardware and software parts. In addition to cleaning your computer components and removing all dust and debris, we will clean up the software and improve speed. Ultimately, we can install a solid state drive (SSD) instead of your old HDD. With an SDD, your computer will run faster, be more reliable and never heat up again. An SSD does not have any components, hence the name solid drive. It runs seamlessly and works to improve performance and reduce loading time. If your computer screen is broken, it is imperative that you fix it ASAP. At Gold PC, we care for our customers, and especially for their computers. We know how you must feel now that your computer screen is broken. You can barely use your computer for menial tasks. However, you probably want to watch videos, stream movies in HD or play your favorite game. That’s why you need to have your broken screen fixed. 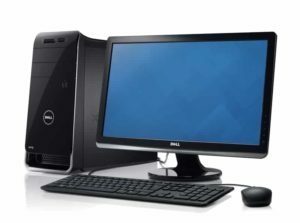 We offer a comprehensive and affordable number of broken screen repair services for computers. Contact us at LL: 92719924 Mob: 0415332231 and we’ll let you know what needs to be done. If we have a time synchronization problem, which basically means your computer time is wrong and you can’t access the internet, and you get “you link is not secure” message, you need to replace your CMOS battery. Replacing a CMOS battery for your computer is a tedious process. Static electricity could kill your computer and remove all data. Our team of technicians can help you with replacing the CMOS battery in the safest way. we know how to enter BIOS . and change the settings, and also how to physically remove the old battery and install the new one. No matter what type of computer repairs services you need, contact us today for a quote and a quick fix. We are here to help!